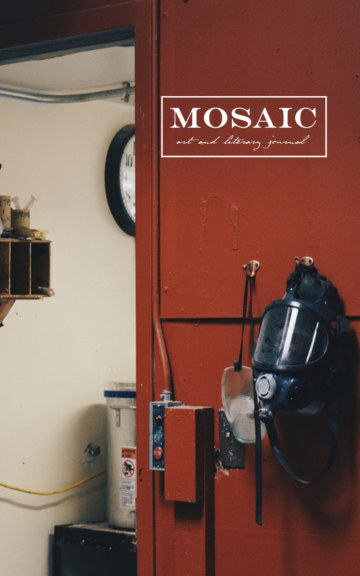 The Mosaic Art & Literary Journal collects submissions from artists and writers all over the world and compiles the best in an edition for the casual reader, or anyone that enjoys the arts. Mosaic 56 is a compilation of fiction, creative nonfiction, photography, and visual arts submitted in 2016 and put together by University of California, Riverside undergraduate students. With the help of the Gluck Fellows Program of the Arts, we have been able to publish this book that we hope is enjoyable to read! The Mosaic Art & Literary Journal is the oldest undergraduate literary journal on the west coast of the United States of America, going on 58 years as of 2018. We are continually accepting submissions for future editions of Mosaic. Please visit our website for guidelines and deadlines. Have fun reading!